Dhanush’s commercial hit Maari will have a sequel soon, as director Balaji Mohan has already begun working on the script for the sequel. sequel version to Maari, and have completed around 10 % of it. Dhanush has been confirmed for the sequel as lead. The film will begin in second half of 2016, and I might work on another film in the meantime,” said Balaji Mohan. 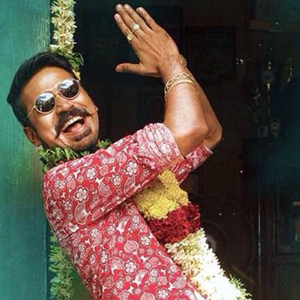 Balaji Mohan also revealed that Maari 2 will be a part of the film’s title or it may be title itself. Few of the characterizations in the first part could be retained in the sequel version as well. It would be interesting to see how Maari 2 takes off, as the first part ended with Dhanush turning down Kajal Aggarwal’s proposal to stay single.